I am very saddened to learn of the death this past Saturday of Cory Monteith, the star of the television show “Glee.” He died alone in a Vancouver hotel room late at night, after years and years of struggling with addictions to, he once said, “anything and everything.” It might have been an accident, or something congenital, or otherwise innocuous, but the early word is that his death was likely related in some way to drug use. 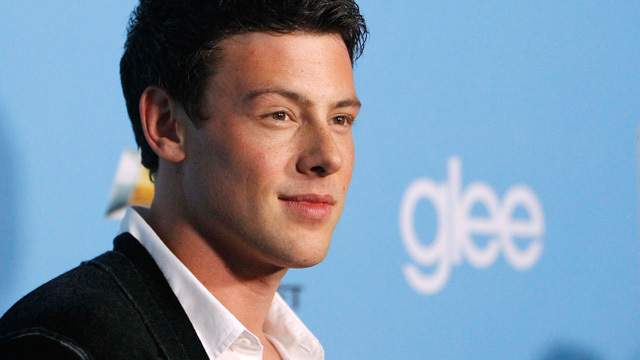 Cory Monteith. Image from The Guardian. I no longer watch network television, but I did catch a few episodes of the first season of “Glee” back in 2009. I was always impressed by Monteith’s enthusiasm, commitment and professionalism in his role as the sweet, dumb jock forced to join the glee club. He was so dynamic in his singing numbers—always the leader, strong of voice, sure of movement and clear of eye. If he had substance abuse issues, and he always freely admitted that he did, they sure didn’t show on camera. That’s a true professional for you. The tragedy of this man’s life is that he had a dream job at which he excelled, the love of a beautiful woman, fame, fortune, youth and good looks. What more could any person want to be happy? If that is not success and the very definition of a good life worth living and loving, what more could possibly be added to it? But for some people, no amount of love or money is ever enough. Happiness lies always just beyond their grasp. All of which goes to show that no matter who you are and what you do or have or earn, happiness is an inside job. Always was, always will be. May he rest in peace at last. Update, July 16, 2013: The cause of death was found to be an accidental overdose of heroin and alcohol.